Having a photographer in the family is just the best. I love having photos like these of me and my little ladies as they grow up. 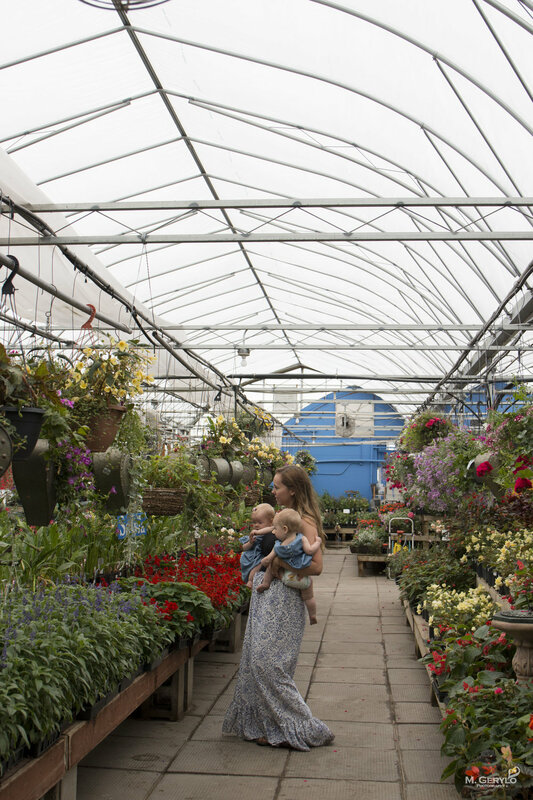 This might be my favourite shoot yet, because I'm obsessed with greenhouses (who isn't these days?! they're perfection!) 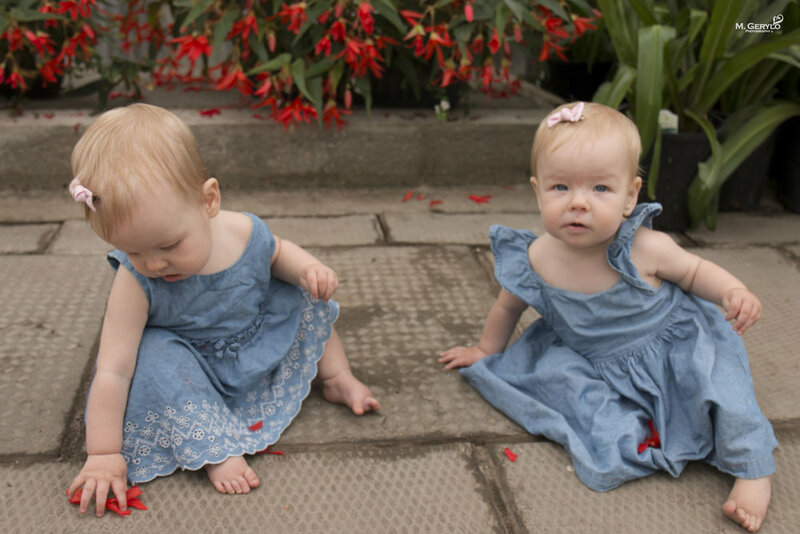 We were so lucky to use St. Mary's Nursery & Greenhouse and it was just the loveliest morning spent together. Thank you, as always, for these photos Meagan Gerylo Photography! You're the best! I love reading Amber Fillerup's 12 things posts, so I thought I would do my own sort over here of a couple things going on right now! The girls are starting to copy everything we do now, it's my favourite thing. Belle cleans everything with her little wash cloth, and Annie will watch Kyle like a hawk, and whatever he does to her she does to Belle. It's absolutely hilarious! As hard as it always is to say goodbye to summer, I'm kind of looking forward to staying home and cuddling in the cooler weather. Summer has been so busy for us this year, I'm so looking forward to a bit of calm before the holiday season hits! Being a creative entrepreneur is HARD. I love it, so so much, but sometimes it feels so overwhelming trying to figure everything out all alone. No matter how much research you do, there's no manual on success. It's been hard realizing that lately. I'm planning the girls' first birthday party and it's blowing my mind that they're having a birthday party. I've been dreaming of this for so long!!! Looking at these pictures made me realize how desperately I need to get my hair done!!!!! I hope you all have the most wonderful day! Thanks for reading, take good care lovelies!